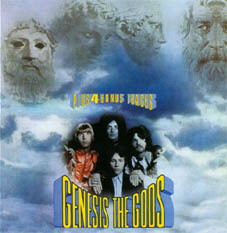 A later compilation is The Best Of The Gods (C5 537) 1989. 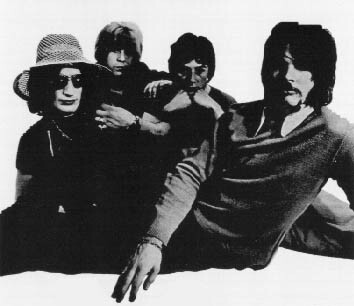 Not to be confused with the American group of the same name, this Gods were formed in Hatfield in 1965 by Mick Taylor. Taylor was a great John Mayall fan and left to join his Bluesbreakers in the Summer of 1967. He left behind a faltering blues band. The line-up sought to revive their fortunes on the club/college circuit and relocated to London, securing a residency at the Marquee. The problem was that Greg Lake was too talented for the background role the rest of the band had in mind for him and in the Summer of 1968 he split to join King Crimson. The band had to regroup again but line-up next, with John Glasscock back in the fold, recorded a couple of interesting progressive rock albums and a few 45s. Of their 45s, "Hey! Bulldog", the Beatles track, is their best known, and both sides have been compiled on The Great British Psychedelic Trip Vol. 3 CD. The "Genesis" album is certainly worth checking out. The band played an imaginative amalgam of psychedelia and progressivism. Its better tracks like "Towards The Skies" and "Time And Eternity" are full of heavy ploughing Hammond organ and distorted guitar riffs and Ken Hensley's unique and rather dramatic vocals add a further dimension. The recent Repertoire reissues also includes bonus cuts. 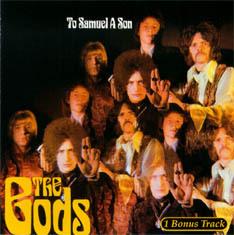 "The Best Of The Gods" compilation is another good way to access their material which is for the most part pretty typical late sixties pop/rock, epitomised by songs like "Radio Show" and "Yes I Cry". There are shades of Vanilla Fudge on their cover of West Side Story extract "Maria" but only on a few tracks like Candlelight and "Real Love Guaranteed" is there an inkling of the heavier sound Hensley and Kerslake would propagate in their next venture, Uriah Heep.